Popular with herbalists in Europe, mistletoe is often used for treating circulatory and respiratory system problems. 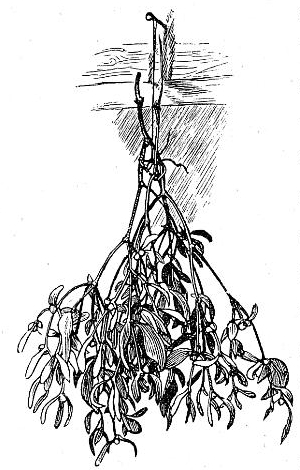 While mistletoe may be more famous as a holiday decoration, this herb is drawn beautifully in this vintage mistletoe drawing. Copyright free and in the public domain, this black and white image is ready for use in your next creative project.